Want to stay up to date with our latest offers and health tips? Under data protection law, you as a client of Core Wellness Centres have specific rights. To communicate these rights to you in a clear and concise manner, we are providing you with this privacy notice. We record and use the following categories of personal data: name, address, telephone numbers, email address, date of birth, health information including medical history, diagnosis and treatment data. Our lawful basis of processing this data is one of contract, and for the health information, the provision of health-related services such as a chiropractic clinic. In addition, we will only examine or treat you with your explicit consent. Whilst you are receiving treatment from our clinic we will continue to store and use your personal data. Once you have been discharged, we will be required legally to retain your personal data for a minimum of 8 years. After this period you may request Core Wellness Centres to destroy these records in writing. As we process your personal data, you have certain rights. These are a right of access, right of rectification, a right of erasure and a right to restrict processing. You may request a copy of your data at any time. Please make such a request in writing or by email to the Data Controller, whose details are shown above. Please provide the following information: your name, address telephone number, email address and details of the information you require. We will need to verify your identity so we may ask for a copy of your passport, driving license and/ or recent utility bill. If you believe any of the personal data we hold about you is inaccurate or incomplete, please contact Core Wellness Centres and any necessary corrections ti your data will be made promptly. If you believe we should erase your data, please contact Core Wellness Centres not the details shown above. Should your personal data that we control be lost, stolen or otherwise breached, where this constitutes a high risk to your rights and freedoms, we will contact without delay. We will give you the contact details of the Data Controller who is dealing with the breach, explain to you the nature of the breach and the steps we are taking to deal with it. You can contact the ICO via their website: www.ico.org.uk should you wish to make a complaint abut the way we are processing your personal data. We will only share your personal data with explicit consent. 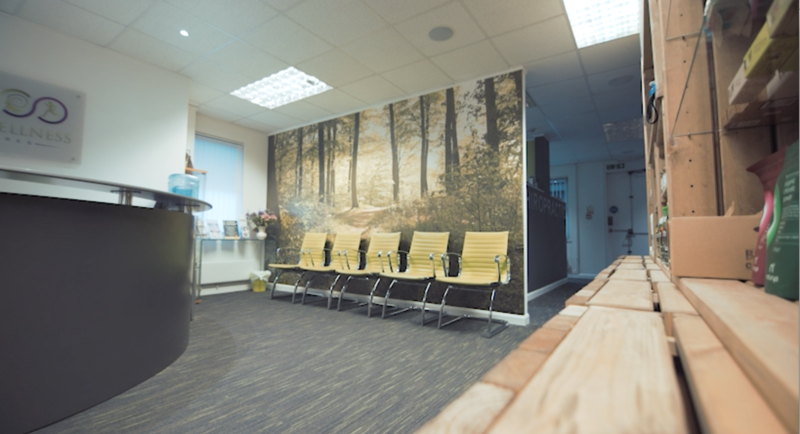 We may use the data you provide to contact you regarding future appointments, health information, special requests or news and offers about Core Wellness Centres we feel could be of benefit. You may withdraw this consent at any time if you no longer wish to receive this information. "I would highly recommend Dr Tilley not only for the quality of treatment and care he shows towards his patients, but for his genuine passion for the profession."